A little bit about Cumbriafoodie. 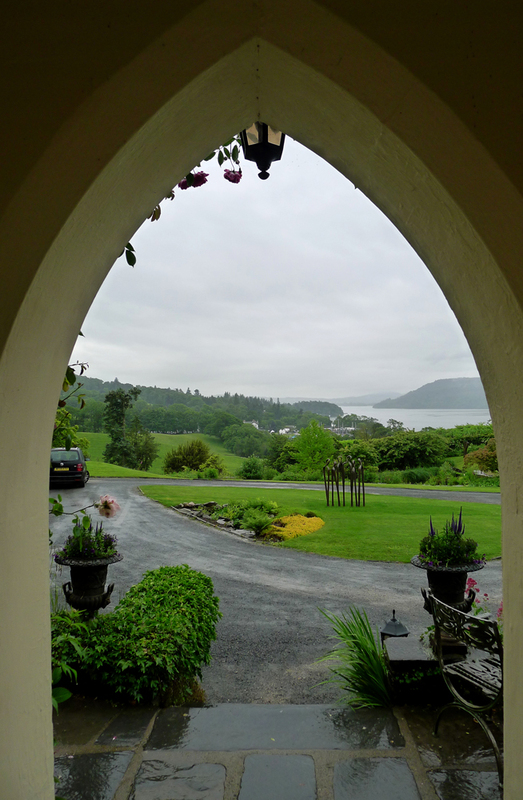 The Samling – Summer Lunch at a country house. As far as bargain lunches in high end restaurants go then The Samling on the banks of Windermere in the Lake district has to top them all. Its called the “Cumbria life” set lunch offer , normally £35 but running through the summer at £25…i simply had to go. I`ve mentioned the fact that in this area there are country house hotels and restaurants dotted every hundred or so metres along this stretch of road.Some of the best restaurants in the North with some amazing bargains to be had.The £25 menu consisted of an Amuse , a pre starter , starter , main and pudding…how do they do it ? STOP PRESS -Former Von Essen hotel the Samling, in the Lake District, has appointed Ian Swainson as head chef.Swainson, who was a finalist in the ITV show Britain’s Best Dish, joins the 11-bedroom hotel from Alan Murchison’s Michelin-starred L’Ortolan in Reading, where he was acting head chef.He was previously head chef at former Von Essen hotel Seaham Hall in County Durham, and spent four years at Murchison’s La Bécasse in Ludlow under Will Holland. We started with these little Amuse of caramelised sweet onion with summer truffle and warm pork fritters. 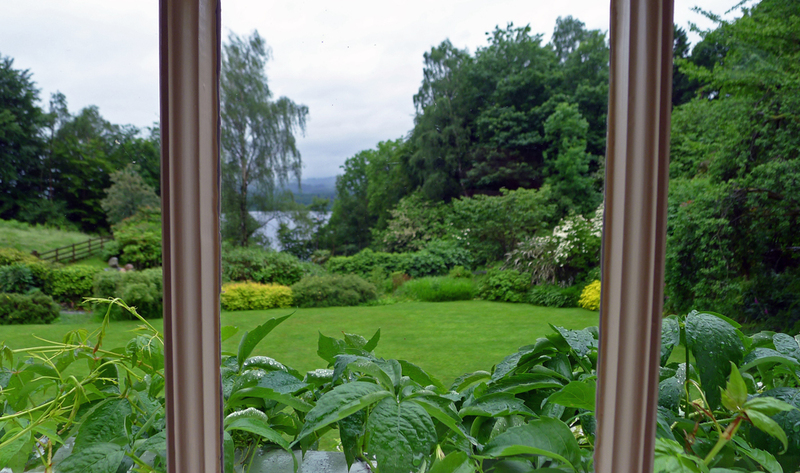 The view of the Samling gardens from the restaurant. Plain , simple and well baked bread. Goats Cheese , Avocado , Tomato and Basil. Cod Korma , salted Loin , Golden raisin , Poppadom , Coriander.This was the highlight of the meal for me and the very first time ive ever ignored foie gras and gone for something else. 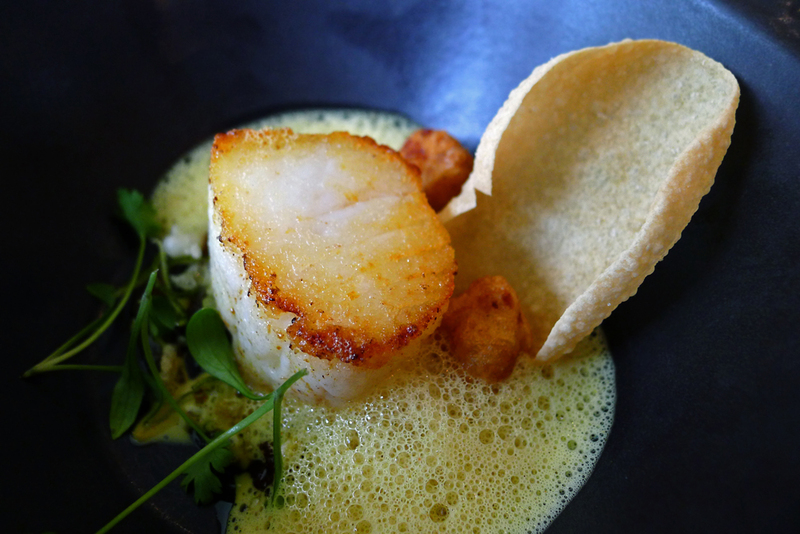 At first glance it looks like a caramelised scallop but infact it was a perfectly cooked piece of salt cod loin.The sweet raisins and creamy Korma sauce made every mouthful a delight to eat. 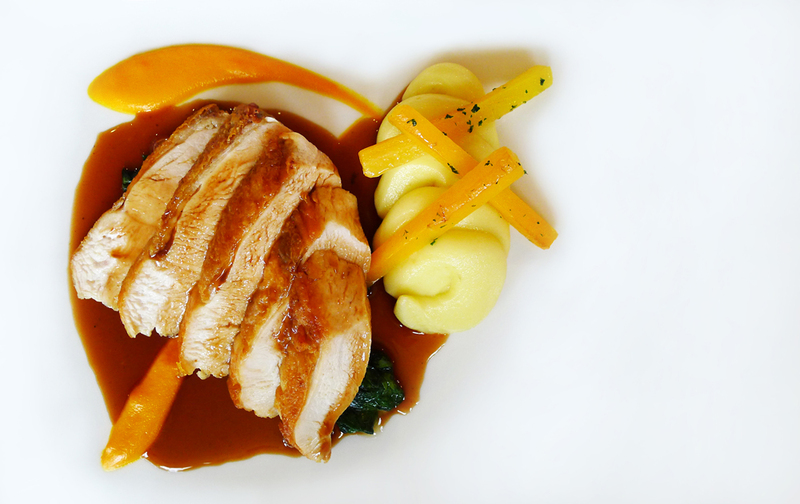 Corn fed chicken breast , Pomme puree , carrot and spinach.Basic as it comes but when it`s cooked as perfectly as this well sourced local chicken then who needs anything more comforting ? 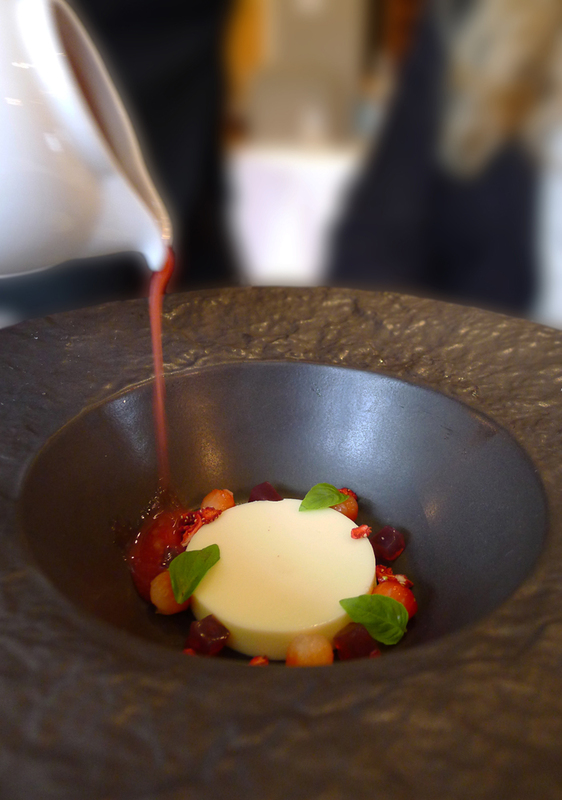 English Strawberry , chilled soup , Lemongrass pannacotta , basil. 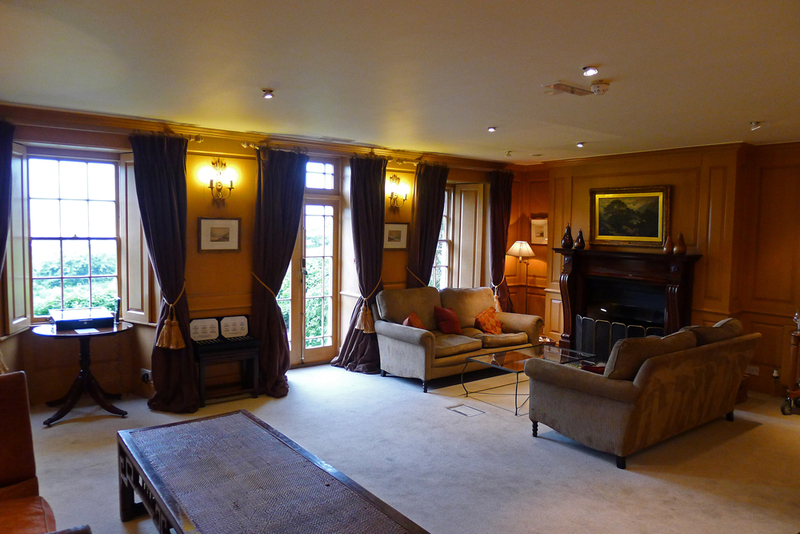 The Samling lounge – We retired here for a very lazy chat and slouch on the comfy sofas, after all we had the whole place to ourselves.Bit of a warning at this point….The price of the coffees £11.90 for two…wow , i`ve yet to see higher priced coffee at any restaurant i`ve ever been to….£5.95 per person with only 2 tiny petits fours.This was a real kick in the teeth after such a wonderful lunch so please be warned…leave the coffee alone….or enjoy a flask in the car whilst surveying the “mere”. 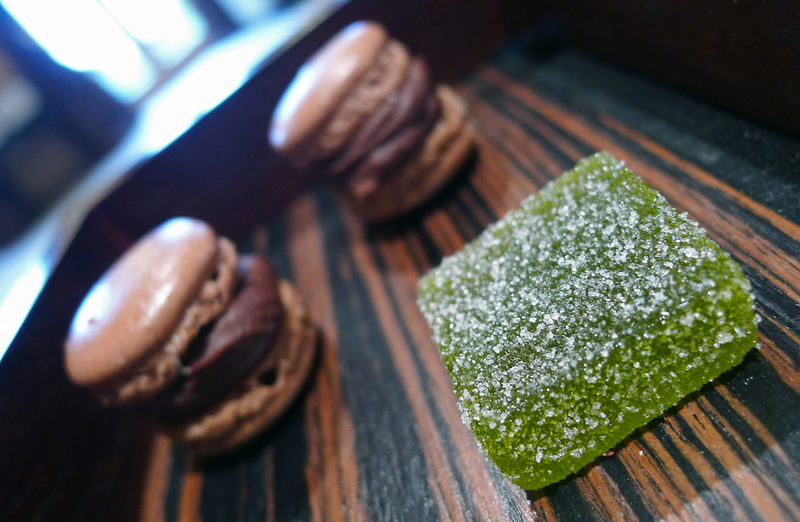 Petits fours , Apple jellies and Chocolate Macarons. Open the front door and could you ask for anything more pleasant on the eye ? stunning scenery and panoramic views over Windermere…..its a “mere” not a lake. 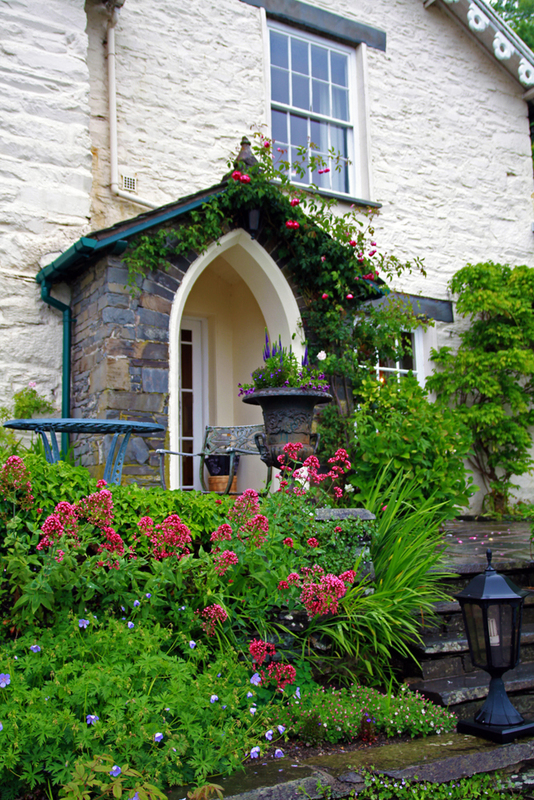 Beautiful summer flowers make this the ideal picture postcard location for visitors to the Lake district. So to sum the Samling up…. £25 pounds…yes , Twenty five pounds for the summer lunch , 5 courses…with choices,including foie gras.Surely this has to be one of the best high end dining bargains in the North.Everything was very well cooked by Ian and the team.I`ll enjoy going back again to try the Tasting menu ( £70 ) and see what chef can put out at dinner.One thing to note however….the food we had at lunch was also part of the evening menu so even more of a reason to pop in mid day. Oh and one more thing to note , The Samling sits in a 67 acre estate and on my way out i couldn`t help but notice the amazing selection of wild produce around the gardens and woods… Ramsons galore , hedge garlic , Mallow everywhere and masses of Elderflower….cmon guys , get the chefs out foraging in the morning , you`ve a world of amazing flavours for free outside the front door. To view the gallery of photos from lunch please CLICK HERE. 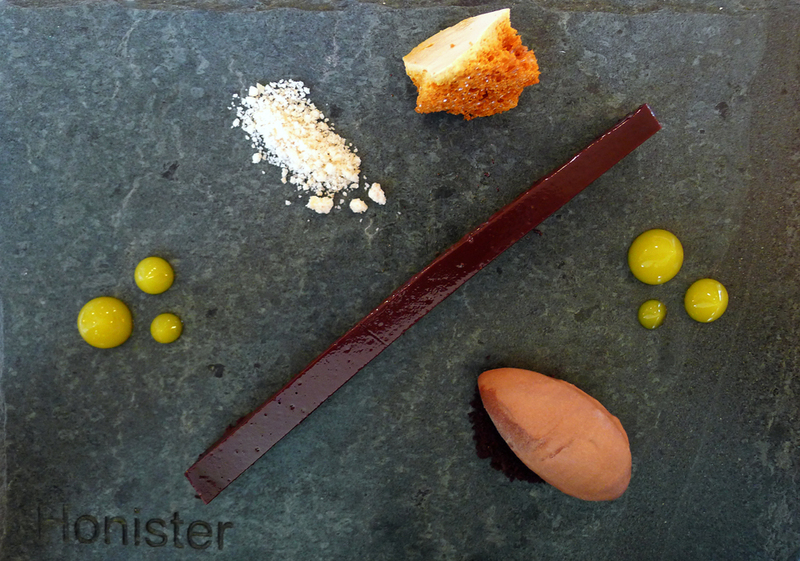 Previous Post Aumbry , Manchester and Mary Ellens Tasting menu. 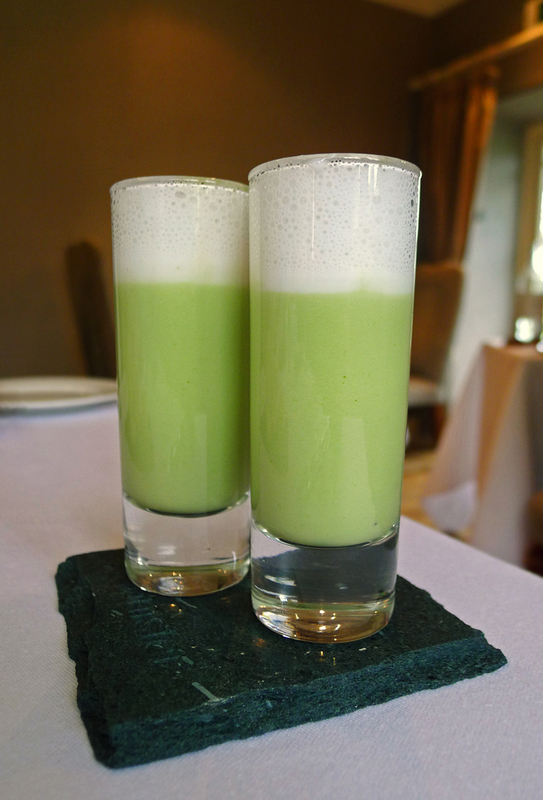 Next Post Lenclume , Cartmel – Rogan reaching dizzy new heights. Nahm – Bangkok best Thai restaurant ? TAST Catala – A taste of Spain in Manchester. Restaurant MCR – Aiden Byrne. Bo.Lan, Bangkok – As authentic as it gets. Mizu – Pan Asian food in the Lakes. Tom Yam – Cooking Thailands national Soup. The Pentonbridge Inn – Cumbria. The Ritz , London – High end delights. Bibendum , London – As good as they say it is ? Summer at the Samling , Windermere. Rogan & Co , Cartmel Village. 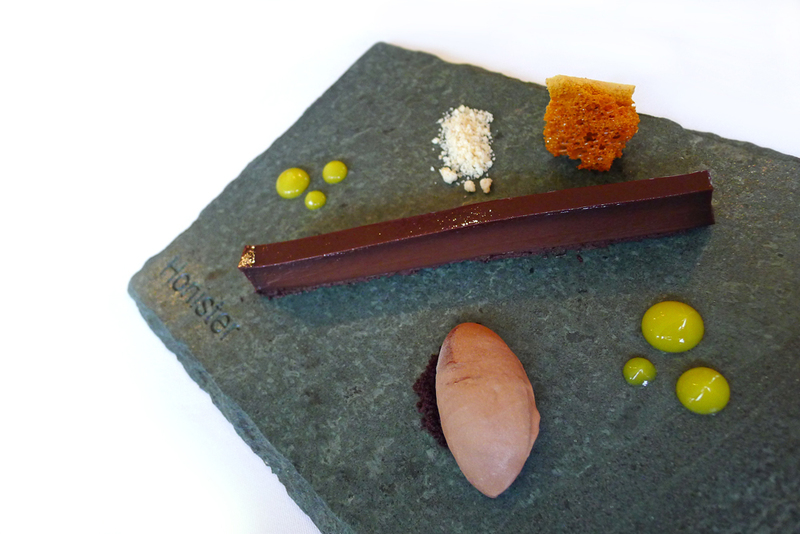 Restaurant Mark Greenaway – Edinburgh. Askham Hall , Lowther Estates. 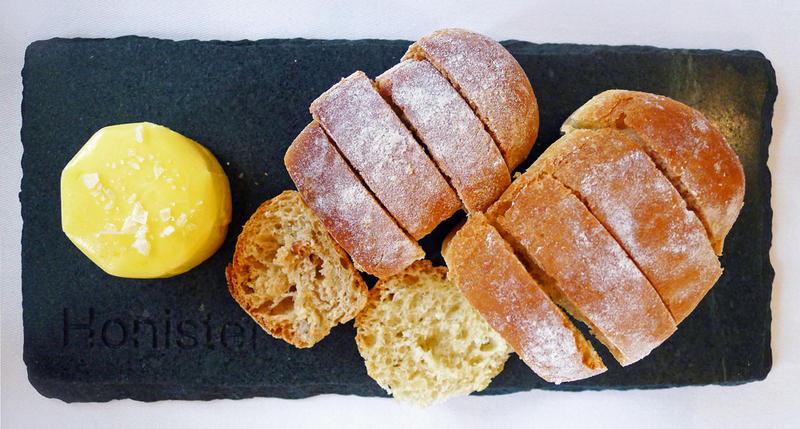 Castle Dairy , Kendal – Tucked away cooking wonderful food. 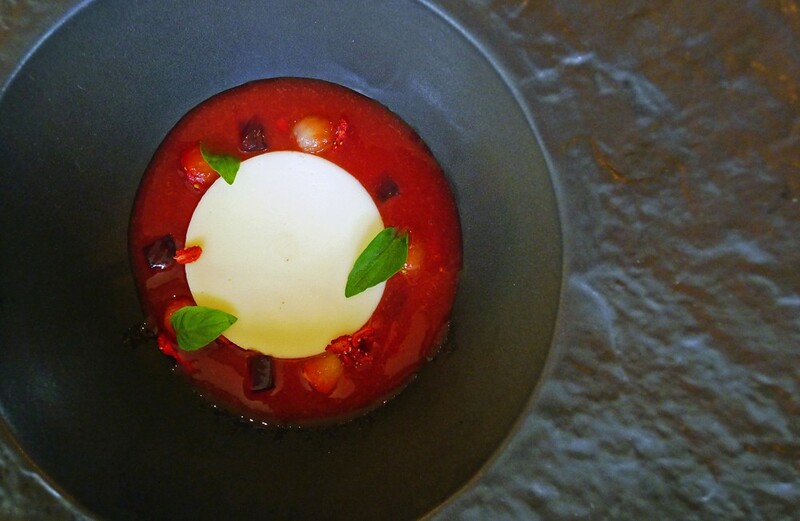 “Meat Fruit” – Making a Heston favourite at home. My Thai Green Curry , it`s as close as it gets. The Ritz Restaurant – Again. 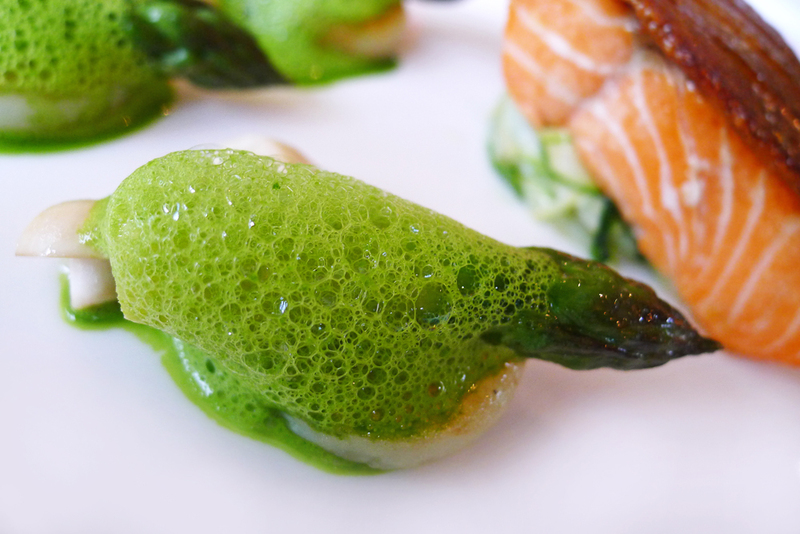 Atsushi Tanaka , Paris – Something a bit different in the city. A Weekend in Valencia , Spain. Michael Wignall at Obsession17 , Northcote. Sharrow Bay , minus the Sticky Toffee Pudding. Linthwaite Hotel , Big plans and big smiles. A return to Castle Terrace. 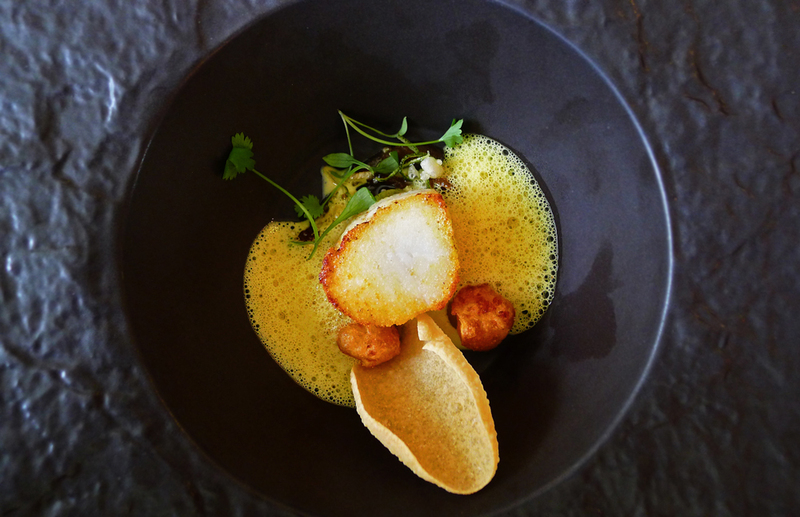 Michelin Star for the Samling. Forest side – All systems GO. The House of Tides , Newcastle. The Grand Hotel – York. The London Ritz , Finest in the Land. Ledoyen , PARIS – Choose very wisely. The Water Library , Bangkok. Le Cinq , George V, Paris , Best of the Best. Forest Side , The Lake Districts multi million pound hotel opens. 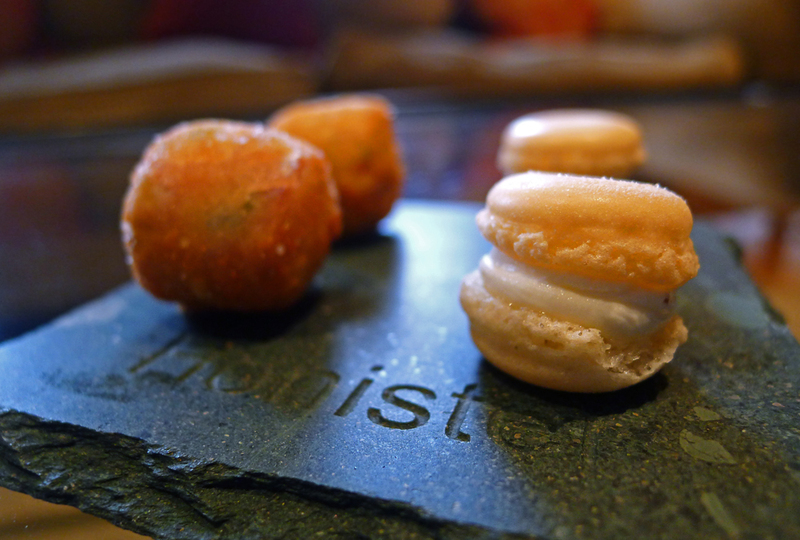 Gaggan , Bangkok – Number 1 in Asia. ” Eat Me ” in BANGKOK …No thanks. The Samling set their bar at top level. Wat Damnak , Siem Reap , No1 in Cambodia. Osha , Bangkok….One to watch. 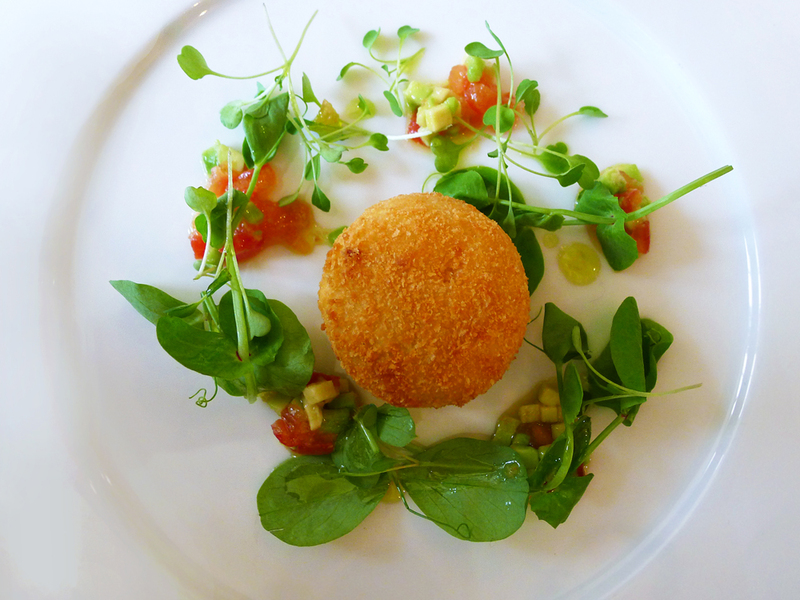 Sharrow Bay hotel – The Diamond years menu. Miller Howe , A country house in Windermere. Martin Wishart at Loch Lomond. Castle Terrace – Edinburghs finest. The Witchery by the castle – Edinburgh , Scotland. The Red Denia Prawn….Best in the World ?